Cisco's Monique Morrow has fought off stiff competition to pick up not one - but two - titles in the Business Worldwide Magazine (BWM) Global Corporate Excellence Awards. Earlier this week the company's chief technical officer for their New Frontiers Engineering section became BWM's Visionary of the Year 2016 - Technology, Social Change and Ethics. She also gained the title of Social Media Champion of the Year - 2016. The Swiss-based thinker, who believes in promoting further access to women in technology, says she is currently focused on the idea of a 'Humanised Internet'. Thanking the magazine for both awards Ms Morrow went on to explain her concept further. "We're looking at how to allow people to store their identity information online, regardless of where in the world they are," she said. "Today it is such a fundamental part of citizenship and, crucially, something refugees and immigrants could use to prove their identity. In that respect it could also help cut trafficking numbers and slavery, as well as both sexual and child abuse." 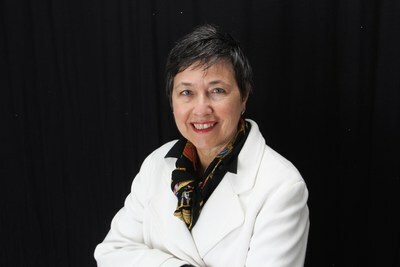 Morrow started her career in telecommunications after being advised her strengths lay in problem-solving. She is now using those attributes to help women 'break through the glass ceiling' and to help form a fairer gender playing field for women employees in the technology industry. "It seems to me that women are naturally, or through their upbringing, predisposed to try and take on too much, rather than to focus," she said. "Coupled with a tendency for people in male dominated environments to look to women to do administration and support work, it's no wonder women don't reach the same heady heights as men in this industry." Not surprisingly, Morrow admits that all her work mentors were male - chiefly because there were no relevant women in the industry at the time. Some of this she blames on rigid structuring in the workplace where the demands of childcare and caring for elderly relatives aren't considered. She added: "No one wants special treatment or to be given a free ride. What they do want though is a chance to be judged equally on their merits, their skills and their experience, even if they can't work full-time hours." Morrow has recently become the new co-chair of the IEEE Mixed Reality committee as part of The IEEE Global Initiative for Ethical Considerations in the Design of Autonomous Systems. Which is the world's largest professional organisation dedicated to advancing technology for the benefit of humanity. She is convinced technology can transform society for the better. But she warns the availability of personal data requires further discussion. "We have to continue to think about the bigger picture for our economy, society and ethical awareness in the midst of technological change," she said. "At the end of the day, technology is simply a tool."